Call of Duty WWII will be bringing the franchise back to its roots and to achieve that Sledgehammer Games has made some changes to the gameplay formula for the upcoming game. Now, the studio has confirmed that Call of Duty: WWII will not feature unlimited sprint. Sledgehammer Games’ Michael Condrey was asked by a fan on Twitter about the unlimited sprint in Call of Duty: WWII to which he responded that there will be no unlimited sprinting for players in the upcoming game. However, there is a possibility that players could get a perk for the unlimited sprint in the game but, until the devs officially reveal it we can only speculate. Activision recently revealed the gameplay for the upcoming Destiny 2, however, many gamers were surprised by Activision announcing that Bungie’s upcoming title will be released for PC only through Battle.net. But, Activision might also release the upcoming Call of Duty through Battle.net instead of Steam. Aside from COD: WWII there might be another Call of Duty game in the works from developer Beenox for Nintendo Switch. Beenox posted an image on social media that sparked the speculations. The image shows the development team with a couple of Canadian soldiers who visited the studio to discuss their experiences. 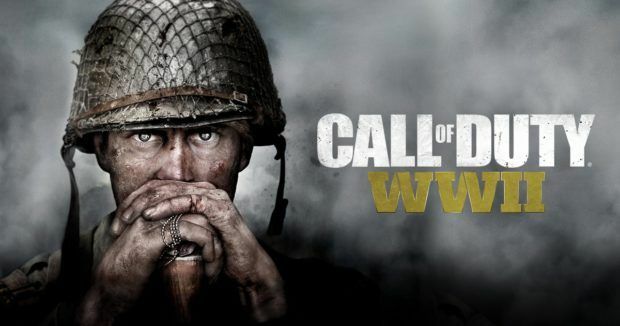 The post also mentioned “COD” which led some to jump the gun and wildly speculated that the studio is working on a Switch port for Call of Duty: WWII. However, Beenox could be working on a separate Call of Duty title much like the Call of Duty: Black Ops Declassified exclusively for Nintendo Switch. A COD game built from the ground-up for Switch could work wonders for the hybrid console and might persuade other third-party developers to develop games for it. Call of Duty: WWII is an upcoming first-person shooter in development at Sledgehammer Games for PC, Xbox One and PlayStation 4.